The Bear Lake Classic is one of the top road races in Utah. It will be held on May 14, 2016 in Garden City, Utah. This year, the race will have a new course, and a recreational ride on the same day. There’s also a hill climb on Friday night. We asked organizer Troy Oldham to tell us about the event. CU: Tell us about the course. What are the highlights? What’s new for 2016? Road construction on the west Utah side has thrown a twist into our classic one and two-lap course, this year we are limited to a single lap around the lake, or roughly 50 miles. However the change has given us an opportunity to change things up a bit, to create two finish option for racers and recreational riders. The UCA racers will finish the ride on a 5 mile climb to the summit of Bear Lake, just below the overlook. For those racers and riders who prefer a flat finish, we will also have that finish on a safe stretch of road in Garden City. We also are offering an OPEN category for racers who want to compete but also finish on the flat course. Another change will be our start line, because of the traffic we are going to have to move it further south, so please allow extra time to pick up your race packet, and get to the start-line. CU: For the recreational rider, what can they expect? A mostly rolling ½ century with a support station at North Beach (mile 20+), and the option of either joining the racers for a climb to the summit, or a flat finish in Garden City. We have a big group of recreational riders, and so we will also have some prizes for them, and everyone will be eligible to win something regardless of finish time. This year the forecast is calling for sun and mid-70s so that will be something we have not seen for a few years. Also, the 1st 300 registered will receive a pair of Primal socks, and our burger and brat fry lunch is our rider prize this year. CU: What’s new on the race course? either ride or drive to the start line on Saturday morning. We have also bumped back our start time about 15 minutes, with the first category leaving at 8:45am from Rendezvous Beach State park. CU: What support will be available for the recreational rider? For the licensed racer? Available for all riders, we will have a support station at North Beach State park. We will have the Bear Lake Amateur Radio club supporting throughout the event, and volunteering at corners and start and finish lines. All race categories will start before the recreational riders, so the groups will be well positioned on the course. We are asking that all riders obey the rules of the road, the local law enforcement will be watching and recording video of riders who cross the center line, or ride more than 2 abreast. We will provide free Primal Wear socks for the first 300 registered riders, and a free lunch to everyone, (family and friends can also purchase meal tickets for only $5). We will also have a refreshment center at the summit overlook, so that riders can refuel and wait for team members and friends before returning to Blue Water Beach Resort. We will hold our awards ceremony immediately after the race at Blue Water Beach, next to the BBQ/Lunch area. 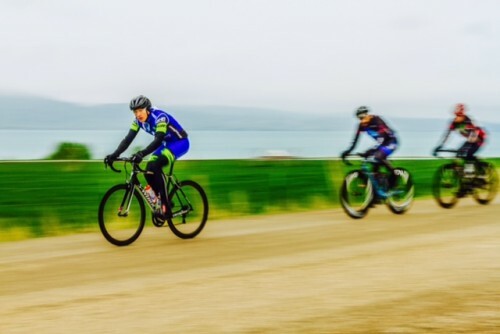 This is going to be a beautiful Bear Lake weekend, temps should be great for riding and racing – a great early season ride for riders of all ability. We have a great set of cash prizes and awards in all categories, including the OPEN categories and recreational rider group. CampChef stoves, cycling gear from ARS (jerseys, bibs, arm warmers, etc. ), $75, $50, $40 and $35 gift cards to Al’s Sporting Goods, bike accessories, (pumps, tools, but butter, etc. ), clothing and items from Pepsi. Packet Pick-up is held at our base-camp, Blue Water Resort in Garden City (2126 S. Bear Lake Blvd). 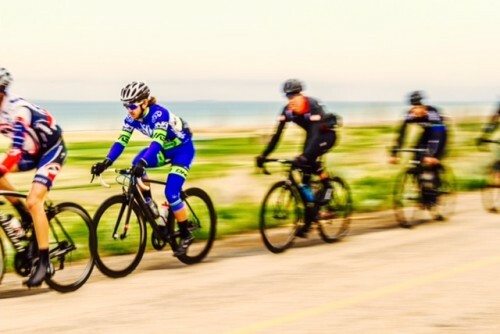 Lodging, camping, parking and showers are all available at Blue Water Beach Resort (800) 756-0795 Parking is also included if we start at Rendezvous Beach State Park, but we are recommending that cyclists ride their bikes the 5 miles to the start line and park at BlueWater. PLEASE ALLOW 20 MINS EXTRA to get from BlueWater to Rendezvous State Park.